HiETA’s expertise in lightweight structures spans classical lightweight design, through to the use of the latest topology optimisation tool and patent-pending design principles and manufacturing principles for hybrid structures. 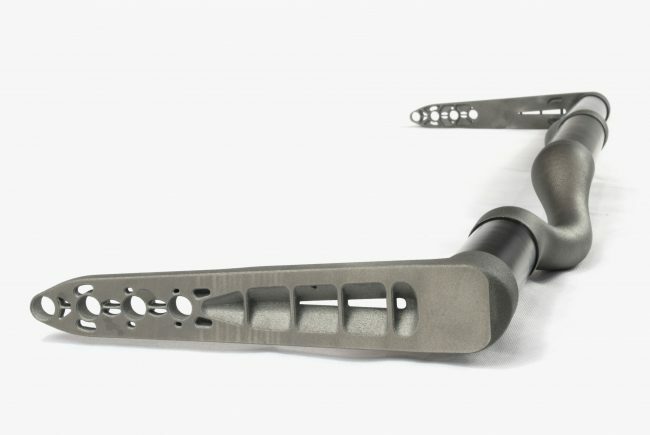 The use of additive manufacturing allows for full implementation of lightweight design principles and cutting-edge topology optimisation approaches. Typical weight savings realised are around one third by an affordable switch to high specific strength titanium alloys afforded by the use of Additive Manufacturing, and a further one third via the application of topology optimisation tools. HiETA is a high-experienced user of the Altair HyperWorks suite and specifically the OptiStruct linear and non-linear structural analysis solver. HiETA has developed a complimentary set of patent-pending technologies for hybrid metal-carbon fibre spaceframe structures. 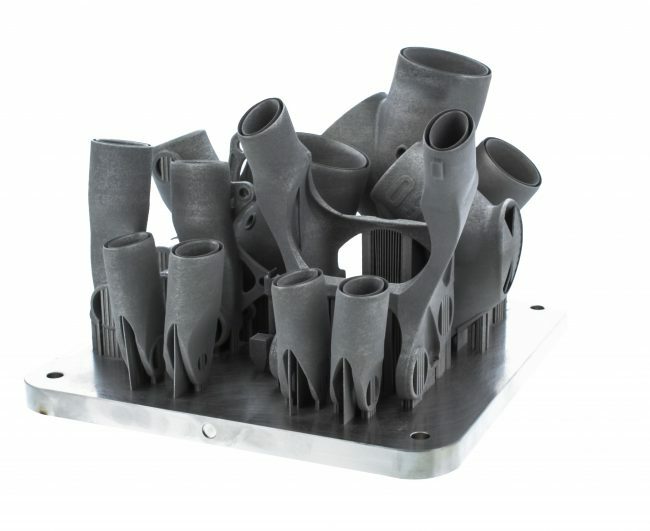 By placing high specific strength at nodes where stresses are high, and multiaxial and high specific stiffness carbon fibre tubes in the interconnects where stresses are lower and uniaxial or near-uniaxial, the performance of all-composite structures can be achieved or exceeded. HiETA’s technology is based around topology optimised very high aspect ratio double lap shear joints with tapered runouts. These structures are made manufacturable via the use of Additive Manufacturing. The benefits of this approach are the avoidance of hard tooling and associated high costs and long lead-times. This enables first-off components to be realised cost-effectively and quickly and easy customisation. These technologies have been applied to customer projects in sporting goods, motorsports and automotive sectors. HiETA has developed novel in-built internal mechanical interlocking strategies that can negate the need for a physical mechanical fixing (i.e. a bolt) in an adhesively bonded/co-bonded configuration. The objective is to enhance interfacial adhesion and damage tolerance of hybrid joints using metal Additive Manufacturing and composite manufacturing techniques, and to improve the integration and structural longevity of hybrid components whilst reducing weight and cost. Tests have demonstrated a two to three-fold increase in load carrying capability of double cantilever beam specimens compared to baseline single-lap shear configurations. Steep R-curve profiles show a significant increase in fracture toughness indicating that the mechanical interlocking enhances the interfacial strength of the hybrid specimens.